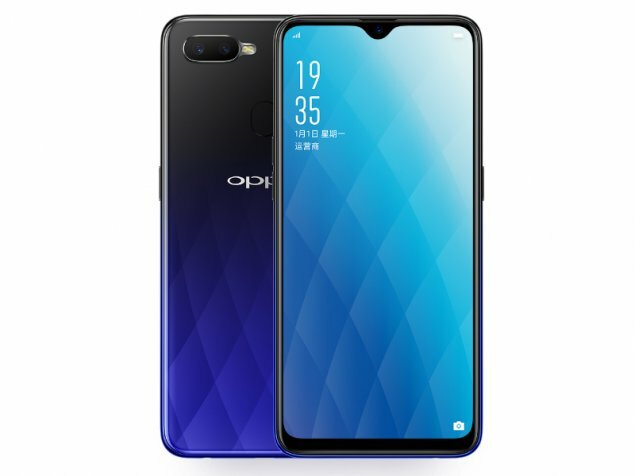 Oppo has launched its new smartphone Oppo A7X. Oppo A7X comes with Waterdrop display notch, dual rear camera setup, gradient design. 6.3-inch 19.5: 9 aspect ratios display. Screen to body ratio is 90.8 percent. 4GB RAM / 64GB storage. Oppo A7X priced at 2,099 Chinese Yuan (approx Rs. 20,000) for the 4GB RAM with 64GB inbuilt storage. Oppo A7X Runs on Android 8.1 Oreo-based on ColorOS 5.2. It features a 6.3-inch waterdrop Notch display. The aspect ratio is 19.5:9 and screen to body ratio is 90.8 percent. Oppo A7X is powered by MediaTek Helio P60 Octa-core processor coupled with Mali-G72 MP3 GPU and 4GB RAM with 128GB inbuilt storage. Oppo A7X has a dual rear camera setup. the primary camera is of 16 megapixels. The front camera is of 8 megapixels. Connectivity options include Wi-Fi, GPS, and Micro-USB.